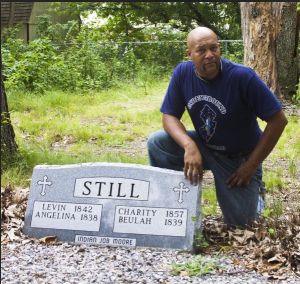 Samuel Still will present, Legacy of an American Family: The Still Family in South Jersey. Samuel Still wants people to know that the history of the Still family is an American success story. Its first ancestors arrived in America in the 1600’s, and the family went on to establish itself in the new nation, most prominently in South Jersey. From humble beginnings, the Stills have produced notable figures in the arts, medicine, religion, academics, social justice, athletics and other fields. What is remarkable, though sadly not unique, about the Still family are the odds they had to overcome to achieve this success. That first ancestor was brought here in indentured servitude. Progenitors Charity and Levin Still (third great grandparents to Samuel) had to escape slavery in order to establish their lives in New Jersey, and leave some of their children behind, one of whom died as the result of a whipping while in captivity. Even when they found freedom in their new home, the world around them was not always welcoming because of their color. Charity and Levin’s son, James, wanted to become a doctor but “was not the right color to enter where such knowledge was dispensed.” He became a self-taught herbalist and known as the “Black Doctor of the Pines.” His son would go on to Harvard Medical School and a niece would become a pioneering female doctor. His younger brother, abolitionist William Still, authored The Underground Railroad, an invaluable set of first hand tales of those escaping from slavery. Not simply a recorder, he enabled the operations of the Underground Railroad throughout the area, including Haddonfield. Other accomplished Still relations include the composer William Grant Still and Pro Bowl football player Art Still. Please join us on May 25th to hear more about this incredible family. Samuel Still currently serves as Chairman of the Dr. James Still Historical Office and Educational Center in Medford, NJ. We will also have a special showing of antique woven coverlets at 11:30 am and 2 pm. 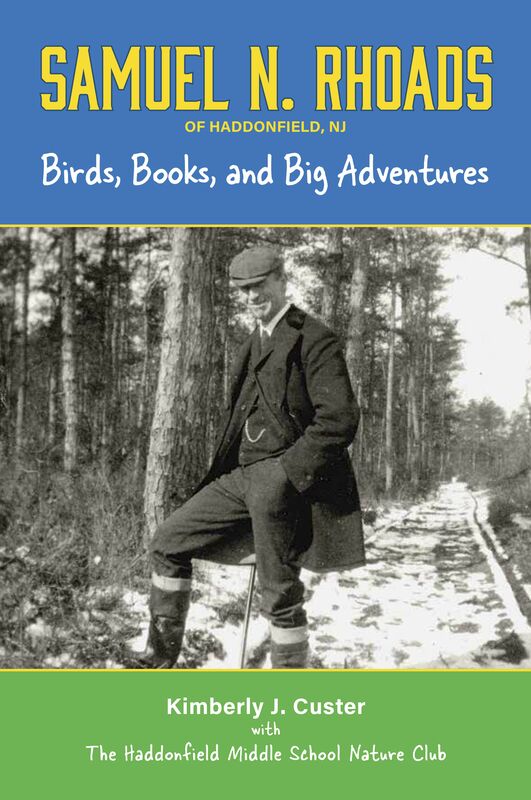 The Historical Society of Haddonfield is proud to announce the publication of a new children’s book: Samuel N. Rhoads of Haddonfield, NJ: Birds, Books and Big Adventures. The book is the culmination of a three-year project by the Haddonfield Middle School Nature Club to investigate the life of Rhoads, a local naturalist and historian. The Historical Society will celebrate the book and its authors at a book release party on Sunday April 17 from 2-4 pm at the auditorium of Haddonfield Friends Meeting, 45 Friends Avenue, Haddonfield, NJ. All are welcome to come celebrate! Books will be available for $10 per copy. After the party, the books will be $12 each. The Nature Club began its study of Samuel Rhoads (1862-1952) at the suggestion of Kim Custer, a volunteer at the Historical Society who had herself been researching Rhoads’ life and how his childhood in Haddonfield influenced his love of nature. Among his many interests, Rhoads was a founder of the Delaware Valley Ornithological Society and collected thousands of specimens in the U.S. and in South America for the Academy of Natural Sciences of Drexel University. Custer eventually suggested that the club write a biography of Rhoads that could be used in Haddonfield schools’ social studies curriculum. Under the direction of Custer and Nature Club advisor Robin Walters, sixteen students wrote text, created illustrations, and selected historical images and documents to include in the biography. 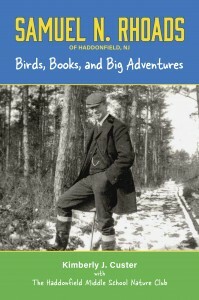 The book’s authors include Custer, Walters, and Nature Club members Patrick Ainsworth, Julia Chin, Helen Chung, Claire Custer, Philip Edmonston, Rachel D’Emelia, Chloe Lin, Zoe Murray, Natalie Naticchia, Sarah Naticchia, Banks Sapnar, Miles Schroeder, Evelyn Sky, Nina Tan, Mark Vaughn and Claudia Watson. Greenfield Hall: Our beautiful gardens are frequently used by local photographers as a setting for their photographs. We also rent the gardens and Greenfield Hall out for events. 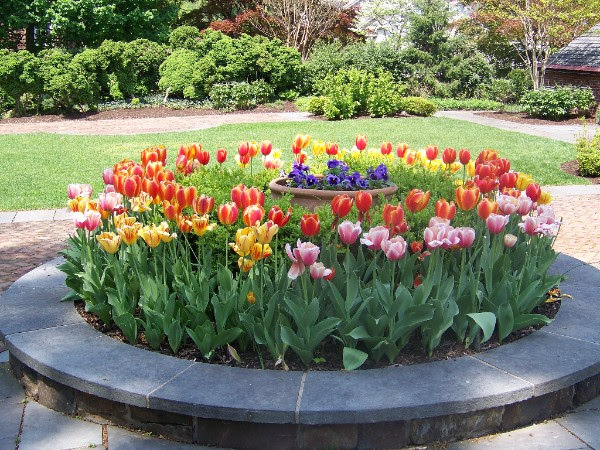 Help us keep these gardens beautiful and support the society by joining us Saturday April 23rd from 9am to noon. Bring garden gloves, rack, pruner and shovel if you have them. 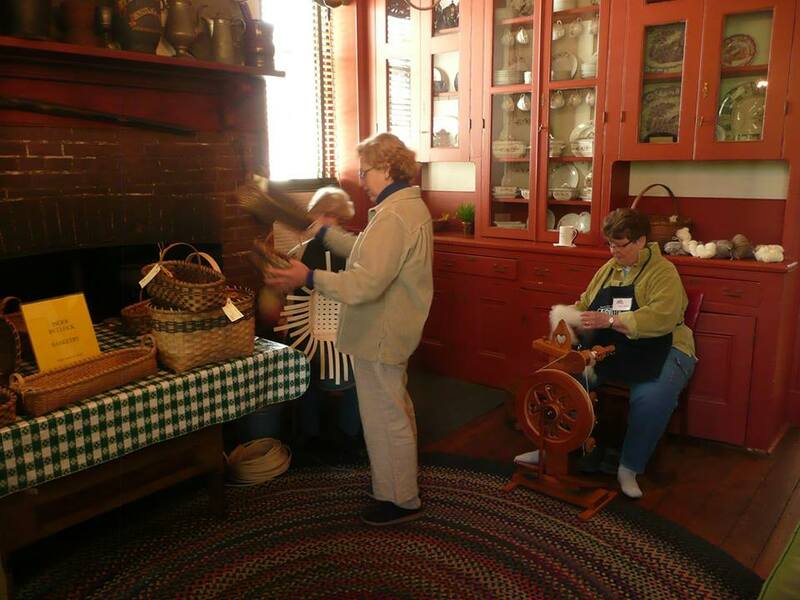 Join us for demonstrations of spinning, weaving, basketry, caning, knitting, crocheting, and needlework, as well as an antique circular sock machine. There will also be a special showing of antique woven coverlets at 11:30 am and 2 pm.